The NT8 2.4 release adds High Volume protein blocks that can hold more sample volume; a new door sensor and support for more Hamilton LCP syringe sizes. The LCP calibration software has also been improved. New High Volume Protein Blocks. The NT8 now supports high volume protein blocks that can hold up to 13 μL protein. 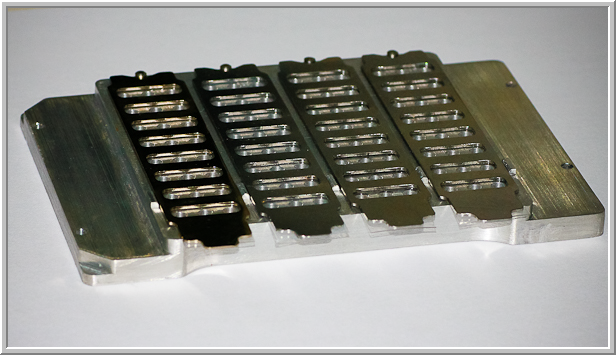 We’ve also created a protein block that fits microplate station 3, and holds the equivalent of four protein blocks. New Door Sensor. We added a sensor into the NT8’s hardware design that automatically stops operations when the door is open for your protection. Support for multiple Hamilton LCP syringe sizes. NT8 2.4 supports for multiple Hamilton syringe sizes (i.e. Hamilton 1700 syringe series model 1710 RN (100 μL) and Hamilton 1705 RN (50 μL) ), giving you more flexibility when running LCP experiments. More intuitive LCP calibration. After you install a LCP syringe, the system will automatically ask you if you want to calibrate the syringe. This action ensures that the LCP dispense positions are accurate and reliable. Ability to move tasks outside of the Repeat task list. You can now drag and drop tasks from inside the repeat area on the task list panel to outside the repeat list. New park location buttons. We’ve added park location 3 and updated the park location buttons to reflect the final park position, so if you don’t remember what park location 1, 2, or 3 is you don’t have to press the button to find out. New keyboard shortcut selection options. You can now use both the Shift + Click and Ctrl + Click shortcuts to select columns when defining aspirate and dispense commands. Plate Type Editor Improvements. Our engineers redesigned the plate definition creator, which is now called the Plate Type Editor. Now, you can set the plate height, well offset, and well pitch settings through dedicated buttons that will bring you to the motion controls for quick position adjustments.